She also sought a direction for CBI investigation into her husband’s death, as there is no headway by the railway police after registration of FIR. Jyoti Singh, whose husband was allegedly thrown off the moving train when he tried to film Railway Protection Force (RPF) constables allegedly indulging in extorting money from vendors in the train, has approached the Supreme Court seeking a direction to the Central government and Railways to ensure the safety of train passengers. She also sought a direction for CBI investigation into her husband’s death as there is no headway by the railway police after registration of FIR. The bench issued notice to the Centre and Railways, and sought their response. In her petition, Jyoti said her 30 year-old engineer husband was travelling from Delhi to Banaras in Chambal Express in August. 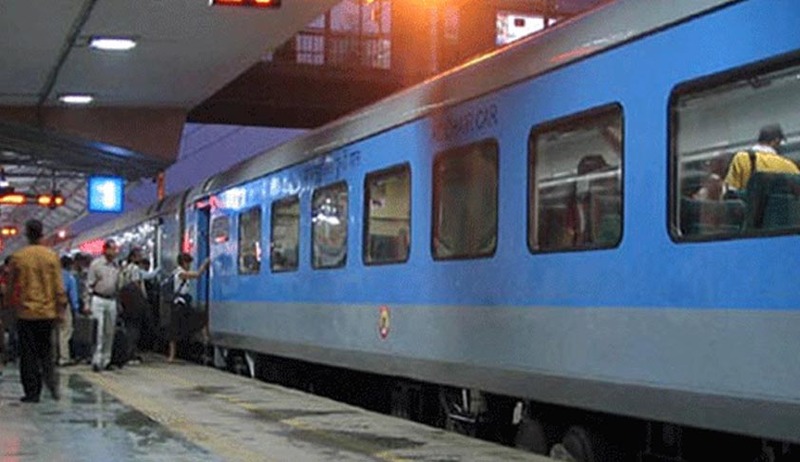 Three policemen in plainclothes and five policewomen, accompanied by a Train Ticket Examiner (TTE in uniform), had entered the coach and started extorting the money on the pretext of catching ticketless travelers and illegal vendors in the coach. She said her husband, being a public-spirited person, had started recording this illegal act on his mobile phone, so as to report this matter to the higher authorities. However, one of the policemen noticed this and immediately alerted his other accomplices, which led to an unending ordeal of the deceased eventually leading to his merciless killing. He was thrown off the moving train in Jhansi. An FIR was registered with the Government Railway Police (GRP) at Mahoba, but no progress so far, the petitioner said. Whether such a mysterious death of the husband of Petitioner has permanently deprived the petitioner of a right to happy life with her deceased husband which is an inalienable part under Article 21 of the Constitution of India or not? Whether the denial of Fair and Speedy Investigation, Trial and Access to Justice to the deceased-victim and his family members is in complete violation of Article 14 and 21 of Constitution of India or not? Whether the investigation done by the Government Railway Police (GRP) Officials till now against its own officers is satisfactory and will result into fair and transparent investigation or not?